Kenmore volunteer firemen built their own fireboat, The Volunteer, in 1966. 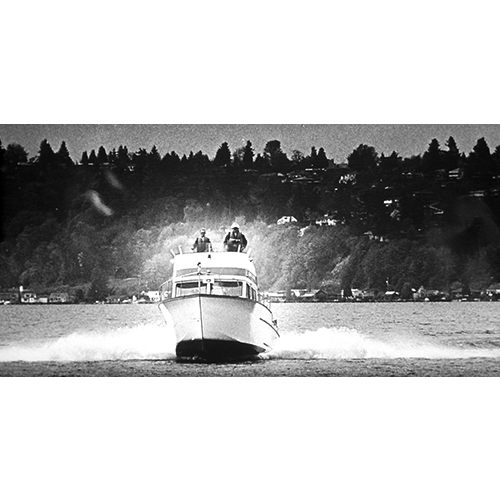 The 33-foot craft was powered by two 290-horsepower engines and reached speeds of thirty-five miles an hour while responding to rescue needs on Lake Washington through the 1980s. Tom Torell (left) and Bob Woods are seen in this 1974 photo.